One thing that has become abundantly clear to the Peake Chrysler Dodge Jeep Ram FIAT team over the years is that without the help of our neighbors, we wouldn’t have lasted very long. We owe everything to the Ontario, Wayne County, and Sodus communities. Knowing this, we think it’s about time to give back with some donations to local non-profits who need them most. If small businesses are the backbone of a community, then hardworking non-profits must surely be the lifeblood. In our opinion, they deserve all the help that they can get. 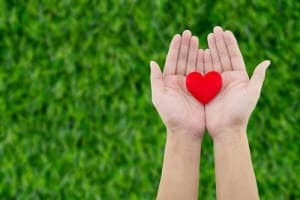 As part of our dealership’s commitment to our neighbors, we strive to give back and enrich the communities in which our employees, friends, and customers live and work. One of the ways that we do this is by supporting several local charities across our service areas. If we could help all the non-profits in the area, we most certainly could. However, the reality is that we receive a high volume of charitable requests on a weekly basis, so we can only focus on so many. For the most part, we focus exclusively on customer-associated donation requests. As a result of this selection process, we are only able to support a small percentage of non-profits, and cannot follow up on the status of submissions. We appreciate your understanding regarding these policies. 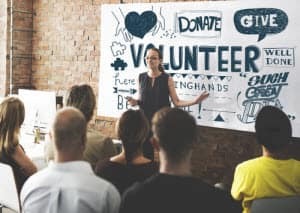 Is Your Charity Eligible for Donations? As soon as submissions are received, our staff will carefully review your application. From here, we will determine whether or not we’re able to support your request. All requests are reviewed within 10-14 business days. If approved, we will contact you directly. In order for your submission to be reviewed, we require 60 days’ notice. If you accept this arrangement, our dealership shall be recognized as a donor or contributor to the event in a mutually agreed upon manner. Please Note: Events or organizations who can offer exposure to our dealership, either through social media promotion, company newsletters, or more, in exchange for a donation are also taken into consideration. 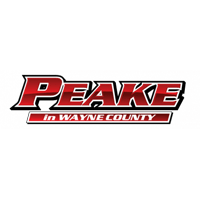 If you’re not one already, you can learn more about becoming a Peake customer at our website. Come see what else we have to offer. Any Ontario, Wayne County, or Sodus businesses who would like to know more should contact the Peake Chrysler Dodge Jeep Ram FIAT team today!